Technical drawing, commonly known as drafting, requires precise lines drawn at precise angles, as these drawings are essential for engineering and architectural design. Without precise lines, buildings could be crooked or roads could veer off in the wrong direction. Fortunately, drafters have at their disposal a versatile tool — the triangle. 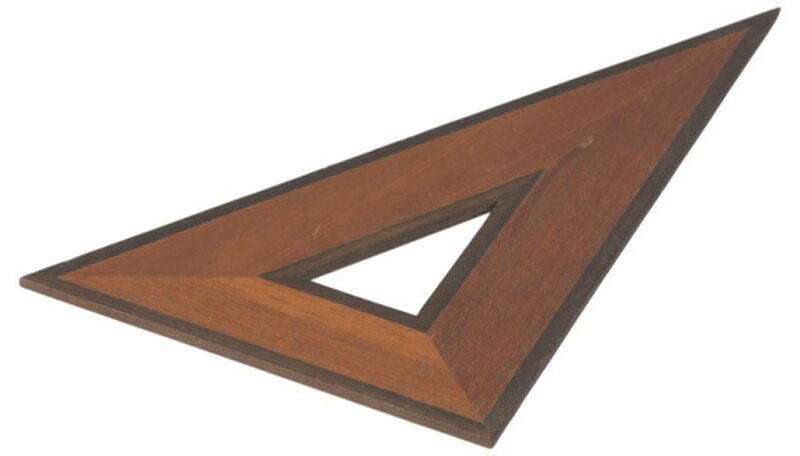 Drafting triangles are available in two versions — the 45-45-90 triangle for drawing 45-degree lines, and the 30-60-90 triangle for drawing 30-degree, 60-degree and vertical lines. Place the T-square flush on the drafting board. Place the 30-60-60 triangle on the board with its bottom flush to the T-square and the long straightedge facing your drawing hand. Draw a vertical line. Flip the triangle over so the long angled edge is facing your drawing hand. Draw a 60-degree line. Turn the triangle so the long straightedge is flush with the T-square. 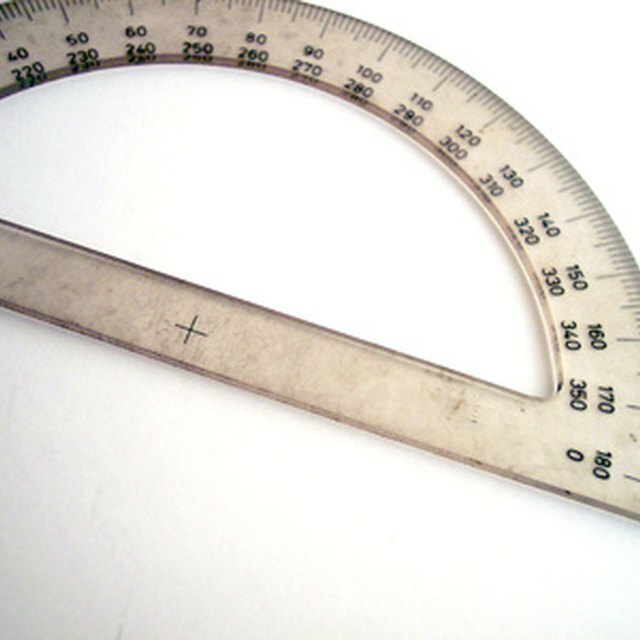 Draw a 30-degree line along the long angled edge. Slide the T-square up while leaving the triangle in place. Draw another 30-degree line parallel to the first 30-degree line. Place a 45-45-90 triangle flush with the long angled edge of the 30-60-90 triangle. Draw a 75-degree line. Use hard lead pencils -- H, 2H or 3H pencils -- for drawing initial lines. Use soft lead pencils -- HB or B -- for final lines. Guilmette, Mike. "How to Use a 30-60-90 Drafting Triangle." Sciencing, https://sciencing.com/use-306090-drafting-triangle-8654265.html. 24 April 2017.